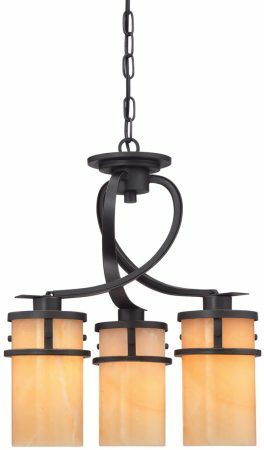 The Quoizel Kyle imperial bronze 3 light dinette chandelier with onyx shades features a rustic contemporary look, twisted wrought iron frame and downward facing butterscotch onyx shades that give a romantic glow. A compact downward facing chandelier, with a circular ceiling mount and chain suspension supporting a twisted wrought frame finished in imperial bronze. 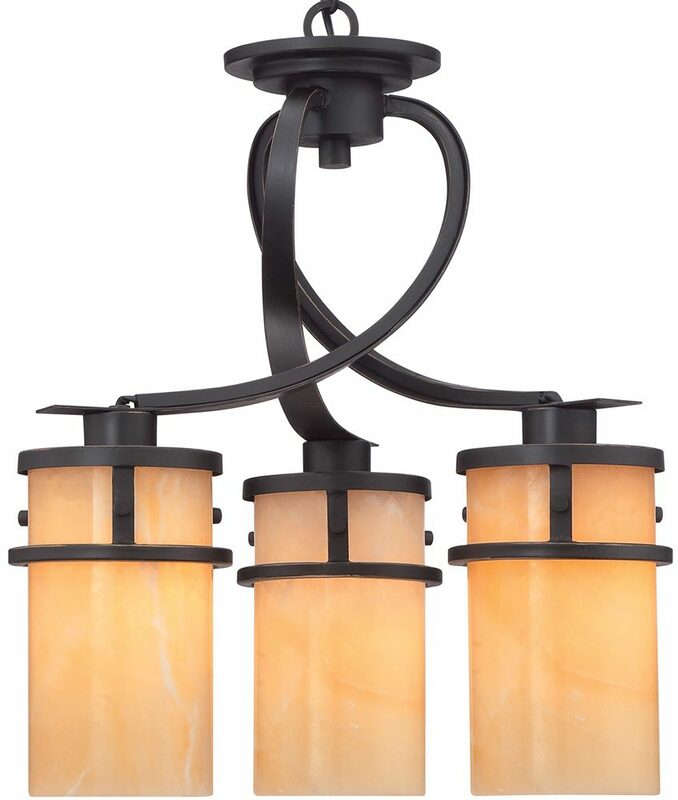 The frame is attached to the chain and holds three beautiful downward facing butterscotch onyx cylinder shades that will give the most wonderful glow. 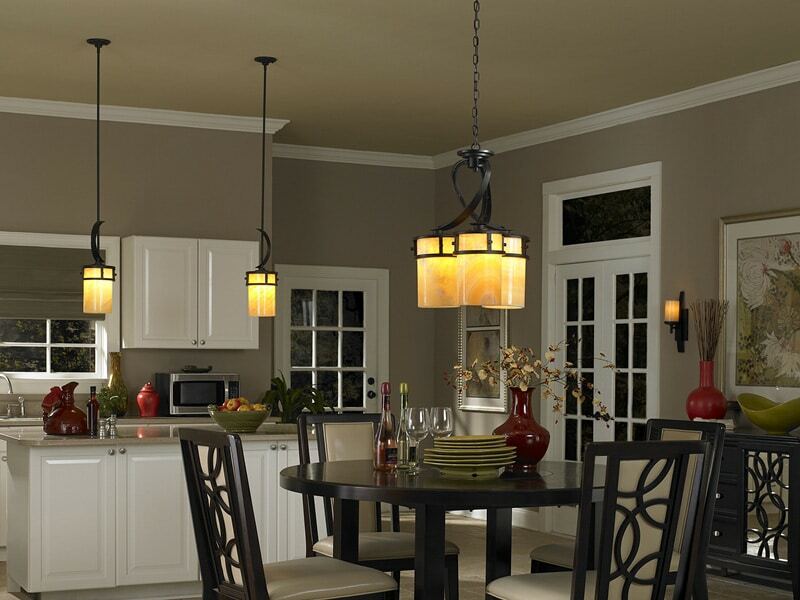 A magnificent, contemporary, rustic chic chandelier that certainly has the wow factor. Ideal for installation over a circular dining table. The Kyle imperial bronze 3 light dinette chandelier with onyx shades, designed by Quoizel, founded in 1930 in New York. They relocated to Charleston in 1996 where they remain to this day. They remain a privately held, family-owned and operated business. Quoizel products are now being introduced to the UK market and have quickly built a reputation for their diverse, unique and fresh designs.